What's Your (Epistemic) Relationship To Science? : 13.7: Cosmos And Culture Tania Lombrozo looks at a new paper arguing that research on the public's understanding of science often conflates knowledge and understanding — and that this conflation has costs. In the world of Facebook, relationship status comes in a few flavors: "married" and "divorced," "single" and "it's complicated." When it comes to science, relationship status has its own varieties: love and hate, comprehension and confusion. Some of these relationships reflect values and emotions, while others are epistemic: They reflect what we know or understand about science. What's the relationship to science that we should be aiming to achieve? And why does it matter? International assessments reliably find that the U.S. lags behind many other countries when it comes to scientific literacy, and a variety of efforts aim to improve what's referred to as "public understanding of science." While some of these efforts focus on assessing and improving people's attitudes towards science, the educational world is typically more concerned with imparting knowledge and understanding. But spelling out what these epistemic relationships entail isn't entirely straightforward. What does it mean to understand evolution, or photosynthesis, or climate change? And what does understanding buy us that mere knowledge does not? A new paper, forthcoming in the journal Public Understanding of Science, argues that research on the public's understanding of science often conflates knowledge and understanding, and that this conflation has costs. As researcher Joanna Huxster and her co-authors conclude: "We want students who are not just well informed, but capable." That means being able to work with information to draw new inferences and make good judgments, not just "knowing" key claims. Huxster's paper, a unique collaboration between philosophers, undergraduate students at Bucknell University, and an expert in environmental studies, combines some conceptual analysis with a close look at published papers on public understanding of science. The first step was defining their terms. Epistemologists argue about the exact nature of knowledge and understanding, but a few commitments are widely shared. One is that knowledge involves true beliefs, at least as a necessary (if not sufficient) condition. I can't know that humans have 30 chromosomes (because it isn't true). And if someone doesn't believe that humans evolved through natural selection, we wouldn't say that she knows it (even though it's true). "One understands a subject (issue, concept, theory, ...) only if one grasps how a constellation of facts relevant to that subject are related to one another (causally, inferentially, explanatorily, etc.) in such a way as to be able to make new connections or draw new inferences with novel information. As a result, the object of understanding is always a body — and never a single piece — of information." Besides its concordance with philosophy, this definition fits with what we know from psychology — people believe that understanding requires a greater level of explanatory depth than does knowledge. If someone understands, we expect that person to know more than an isolated fact, and to be able to deploy what they know to answer new questions. Equipped with this baseline definition of understanding, Huxster and colleagues went on to analyze whether, and how, research on public understanding of science targets understanding as distinct from mere knowledge. In an initial analysis, the authors scrutinized the 67 papers published in the journal Public Understanding of Science in the year 2014 to see whether and how they used the term "understanding." When papers did employ the term (or a close relative, like "comprehension"), Huxster and colleagues compared the use to the baseline definition above. The results were dramatic: only one paper explicitly defined understanding in a manner consistent with the baseline definition, and only six endorsed it implicitly. The majority (47 papers) were unclear in their usage, while 11 conflated understanding with knowledge, and two endorsed some non-standard definition. This is striking not only because it suggests a departure from the baseline definition (which, after all, could have reasonable variants), but because it reveals little explicit engagement with understanding as distinct from mere knowledge. In a second analysis, the authors considered how often research papers aimed to measure some epistemic state (such as knowledge or understanding) and, if they did, whether measures of understanding actually mapped onto the baseline definition. Looking at all papers published in Public Understanding of Science from 2010-2015, they found only 13 papers (out of 350) that purported to measure an epistemic state. Of those, only three claimed to measure understanding, and by Huxster and colleagues' lights, only one of those three clearly succeeded — the others measured something more like knowledge: true beliefs that might be isolated and inert. One reason that few papers focused on understanding — and that even fewer of these succeeded in doing so — could be because understanding isn't easy to measure. 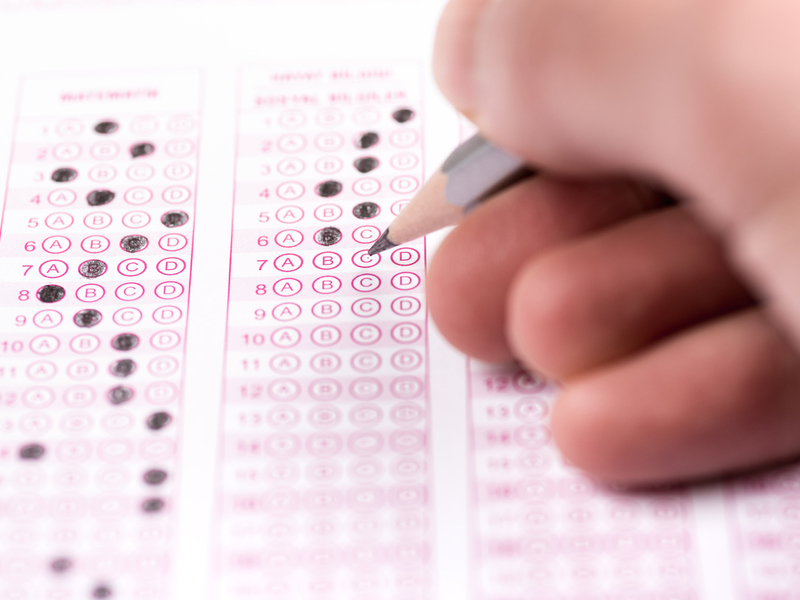 As educators know too well, it's challenging to constructs multiple choice questions that can truly reveal understanding (as opposed to rote memorization or mere "knowledge"), and it's both difficult and time-consuming to reliably score essays or other forms of assessment. Another reason that few papers may have focused on understanding, even in a journal with "understanding' in the title, is because researchers interested in scientific literacy are also interested in knowledge, in beliefs, in general attitudes towards science, and in people's decisions and behaviors — all of which can reflect or contribute to understanding, but might also be of interest in their own right. So the findings from the paper by Huxster and colleagues shouldn't be taken as a criticism of past research, but as an invitation to think more carefully about different epistemic relationships to science — and why they matter. Should producing scientific understanding be the central goal of science communication? Of course, we don't need to have expert levels of understanding to make informed decisions, but we probably do need to understand enough about science to appreciate how and why science is relevant, and enough about a given domain to evaluate what counts as a credible source of information. These kinds of understanding, in particular, might be crucial when it comes to public understanding of science because they're likely to affect our real-world judgments and behaviors. It's not a coincidence that I started this post with Facebook — one of several social media platforms that has been used to spread Russian propaganda. Combatting fake news is likely to require some changes to technology, but also some changes to its human users. Achieving some scientific understanding — and not just isolated knowledge — might be an important step, creating more robust and critical consumers of public information, at least in some domains.